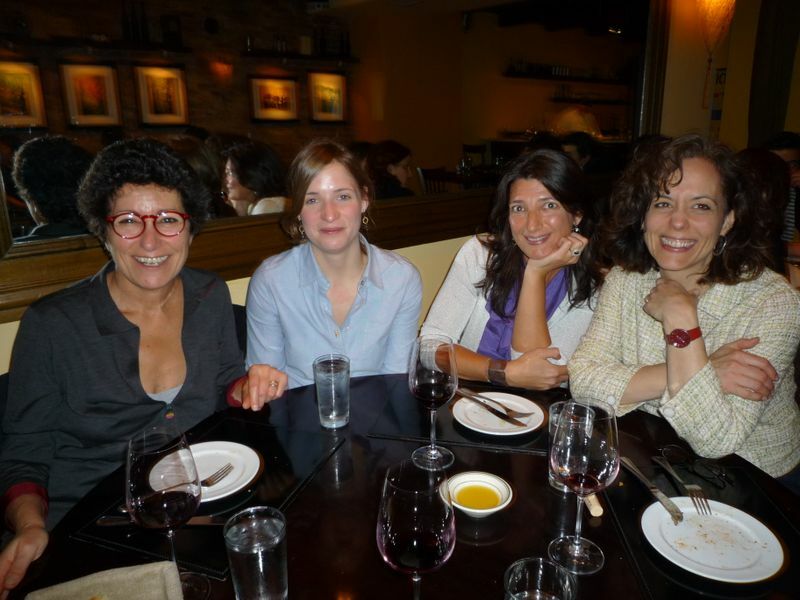 After having attended an animated and interesting presentation at The Calandra Institute of Laura Schenone‘s last lovely book, The Lost Ravioli Recipe of Hoboken, we (from left: Beatrice, Anne and Martina) took Laura (that beautiful woman on the right of the picture) to dinner at Bellavitae, the restaurant in the West Village, on Minetta Lane. Jon Mudder, owner and chef at Bellavitae, says that the secret to great Italian food is a well-stocked pantry, seasonal produce and simple execution. I can’t agree more, and his restaurant is a testament to that principle – simple, tasty, good food.